Passed away Thursday August 23, 2018 at JFK Medical Center, Edison surrounded by loving family. Shirley was born in Brockway, PA on January 15, 1935. As a child she resided in Pennsylvania, San Juan Puerto Rico and Jersey City before moving to Iselin in 1962. 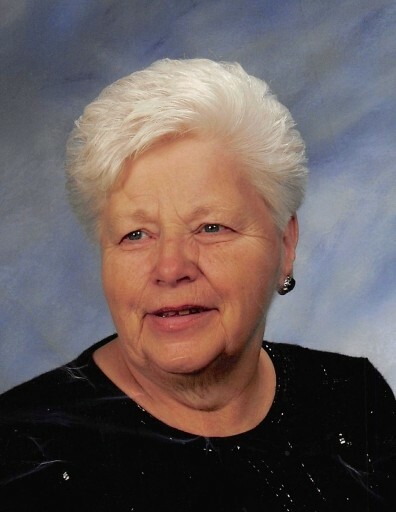 She was a member of the New Dover United Methodist Church, Edison and also a Sunday school teacher there as well as a volunteer in the church Kitchen on Flea Market Days. She volunteered delivering meals for Meals on Wheels, she was a JFK High School band parent. For a brief time before marrying and starting a family she worked as a telephone operator for Fleming & McCaig in Jersey City. She was a member of the Deutscher Club of Clark, NJ. She enjoyed spending time in Wildwood Crest and Lancaster PA with her daughter and granddaughter. She was interested in all of her grandchildren’s endeavors no matter how big or small. She was a loving, caring and giving soul to everyone she met. She enjoyed trips to AC, Senior Trips, Tricky Trays and playing the lottery. She loved to talk to everyone and anyone she met whether to share a funny story or to lend a shoulder to cry on. She was there for you with an open and giving heart. She always put her family before herself. Visitation will be on Friday August 31 from 5:00PM to 8:00PM at Gosselin Funeral Home 660 New Dover Rd Edison NJ. Memorial Services will be held Saturday September 1, 2018 1:00PM at the New Dover United Methodist Church 687 New Dover Road Edison NJ. Cremation Private.